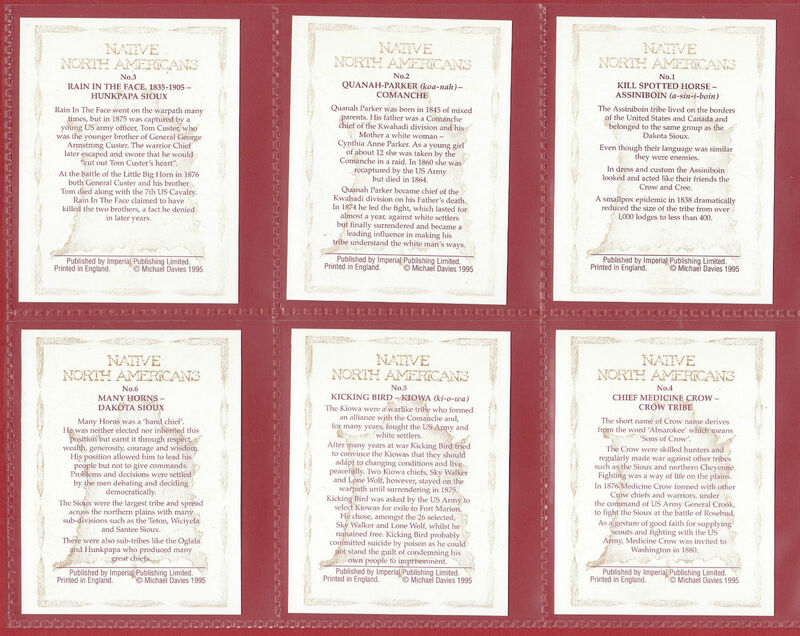 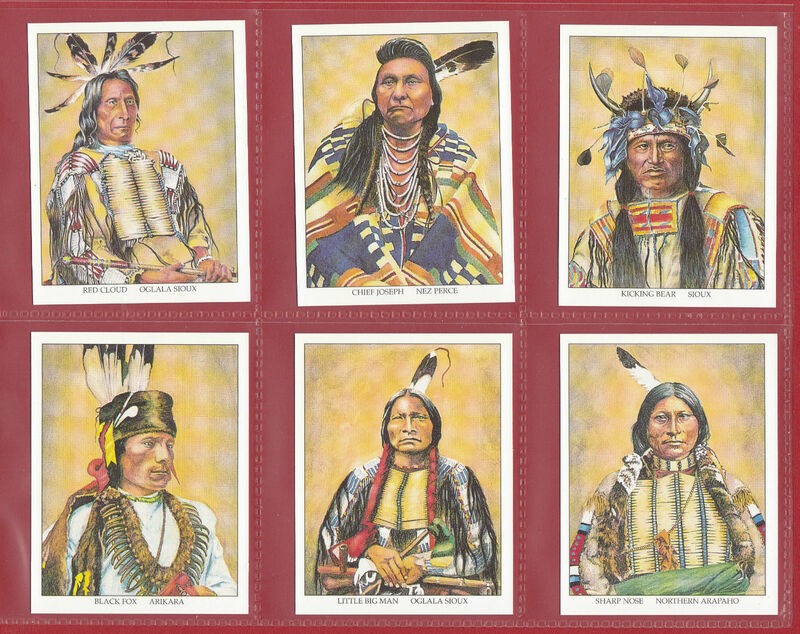 THIS ITEM COMPRISING A BEAUTIFUL SET OF 20 LARGE CARDS WAS ISSUED BY THE COMMERCIAL COMPANY IMPERIAL PUBLISHING LTD. 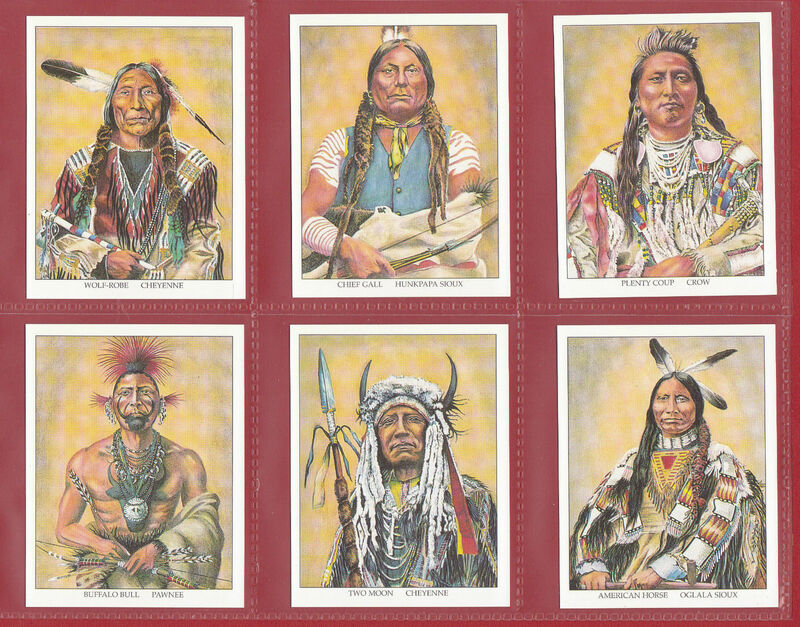 IN 1995 IT FEATURES ' NATIVE NORTH AMERICANS - KILL SPOTTED HORSE OF THE ASSINIBOIN / QUANAH - PARKER OF THE COMANCHE / RAIN - IN - THE - FACE OF THE HUNKPAPA SIOUX / CHIEF MEDICINE CROW OF THE CROW TRIBE / KICKING - BIRD OF THE KIOWA / MAY HORNS OF THE DAKOTA SIOUX / WOLF ROBE OF THE SOUTHERN CHEYENNE / CHIEF GALL OF THE HUNKPAPA SIOUX / PLENTY COUP OF THE CROW TRIBE / BUFFALO BULL OF THE PAWNEE / CHIEF TWO MOON OF THE CHEYENNE / AMERICAN HORSE OF THE OGLALA SIOUX / RED CLOUD OF THE OGLALA SIOUX / CHIEF JOSEPH OF THE NEZ PERCE / KICKING BEAR OF THE SIOUX / BLACK FOX OF THE ARIKARA / LITTLE - BIG - MAN OF THE OGLALA SIOUX / SHARP NOSE OF THE NORTHERN ARAPAHO / TWO HATCHET OF THE KIOWA / SITTING BULL OF THE HUNKPAPA SIOUX - CONDITION IN MY OPINION IS " EXCELLENT - MINT " (BUT PLEASE LOOK AT THE SCANS AND JUDGE FOR YOURSELF) THIS WOULD ENHANCE ANY GOOD CARD COLLECTION. 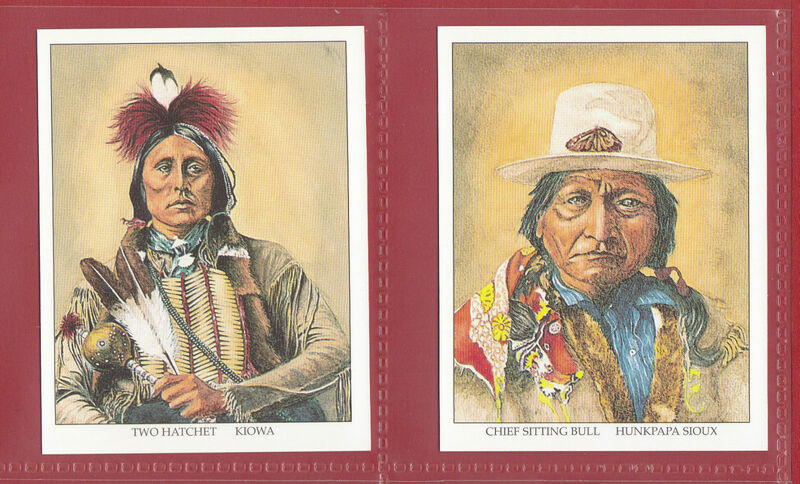 MY SPECIAL OFFER PRICE OF ONLY £ 9.00 MUST BE MORE THAN TEMPTING TO ANY DISCERNING CARD OR U.S.A. OR NATIVE NORTH AMERICANS MEMORABILIA COLLECTOR !